Habinteg’s Farland Way scheme in Derry revelled in a cultural celebration of food and dance from around the globe in July as Community Assistant Margaret Cunningham hosted her now legendary annual Big Lunch. This year’s Welcome to Our World themed event saw residents from the area tasting the cuisines and practising traditional dance moves with guests from Africa, Mexico, the Philippines, India, Iraq, Canada, America and Poland. 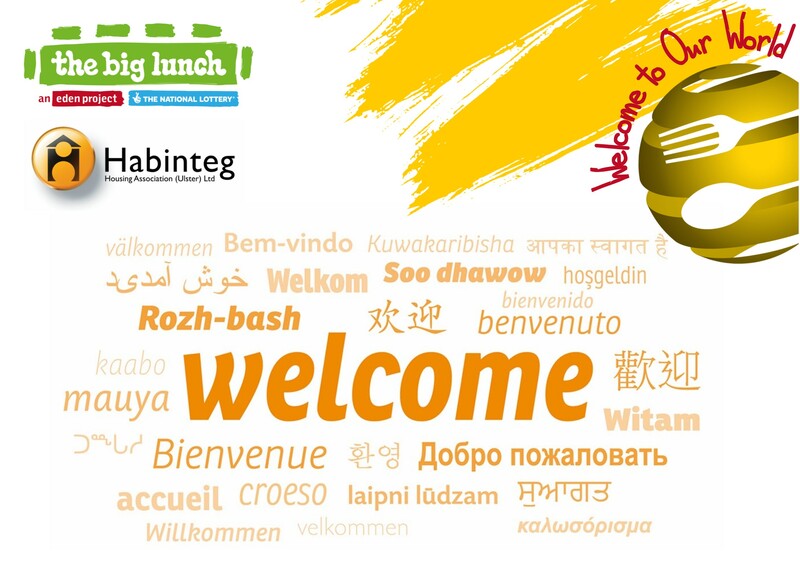 Habinteg’s Community Assistants have helped to organise Big Lunch events at a number of our housing developments and often involving the wider community. Margaret organises one in the North West each year and this was one of the biggest and best yet. “It’s all about getting neighbours together, sitting down with a cuppa and a bite to eat, but this time” said Margaret “I decided to think outside the box - thinking globally but acting locally”. Those taking part, including Mayor John Boyle and MLA Mark Durkan, were put through their paces with some traditional Irish and step dancing, Filipino bamboo dancing, Cuban Salsa, American Jive and Hip Hop, the Spanish Paso Doble and even the New Zealand Haka. Colourful traditional costumes flashed in the sunlight and the outdoor tables decked with globes and multi-language welcome messages, brimmed with food from around the world. The day was a triumph with much shared understanding and enjoyment. As Margaret said, “People and their cultures helps us to grow and celebrate diversity”.